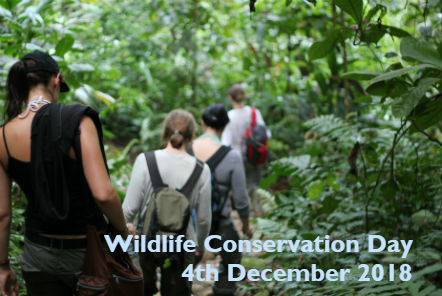 The 4th December each year marks World Wildlife Conservation Day – a day dedicated to raising awareness of the issues facing wildlife around the world, as well as highlighting the incredible work dedicated teams across the globe are achieving. Due to illegal trafficking of animal products such as ivory, deforestation and habit loss and increased levels of human-wildlife conflict, the necessity for efforts to protect and conserve our wildlife is increasingly pertinent now more than ever. At Pod Volunteer, we are very proud to be working with eight fantastic Conservation projects around the world. In recognition of this day, we thought it would be a great opportunity for us to share the highlights of a number of these projects to show how our local teams and volunteers are contributing to important conservation efforts! Since its beginnings, the project has removed over 100,000 Drupella snails and 1,100 Crown of Thorns! It is vital to ensure that the numbers of these species remain low as they are classed as invasive species due to being predators to the coral reef. You can find out more about the Marine Conservation project in Thailand here. Last year alone, the local team saw two generations of bats born in one of their protected zones and there was an 84% survival rate of fig and guava trees planted. Their efforts to educate local Malagasy communities extend to 200 local children who participated in two conservation clubs and 2,000 individuals who were taught of the importance of Madagascan flying foxes and their ability to aid widespread seed dispersal through World Environment Day celebrations. You can find out more about the Conservation project in Madagascar here. Since the project was established, 600,000 hatchlings have been released! You can find out more about the Turtle Conservation project in Costa Rica here. The team have been working for over a decade in Manu Biosphere Reserve and have created a protected area of 650 hectares – the size of about 1,600 football pitches. They have published over a dozen scientific papers and field guides, supported by their partners at University of Glasgow and the Darwin Initiative. They also support 23 agroforestry plots so that farmers can adopt sustainable agricultural practices on 61 hectares of land. In addition, 19 biogardens have been created so that families can improve their health and wealth. They've planted over 30,000 native trees! You can find out more about the Amazon Conservation project in Peru here. Our Reef Conservation team are a leader in lionfish removal in all of Belize and they estimate that they will remove 7,000 lionfish this year and dissect 1,585 for research purposes. Lionfish are an invasive species in Belize, they breed at an alarming rate (a female can lay up to 2 million eggs each year) & feed on key coral species! Find out more about the Caribbean Reef Conservation project in Belize here. Last year, the project provided funding for 3km of electrified game fence which allowed another 3000 hectares to be incorporated into the reserve. This resulted in the re-introduction of a healthy population of black rhino into the reserve, the first time black rhino have been seen in the province for over a hundred years! Find out more about the Big 5 Conservation project in South Africa here. It is amazing for us to see many milestones our Conservation projects have reached over the years and we look forward to continuing to celebrate all their incredible achievements! If you are interested in finding out more about the Conservation projects we are sending volunteers to, click here.